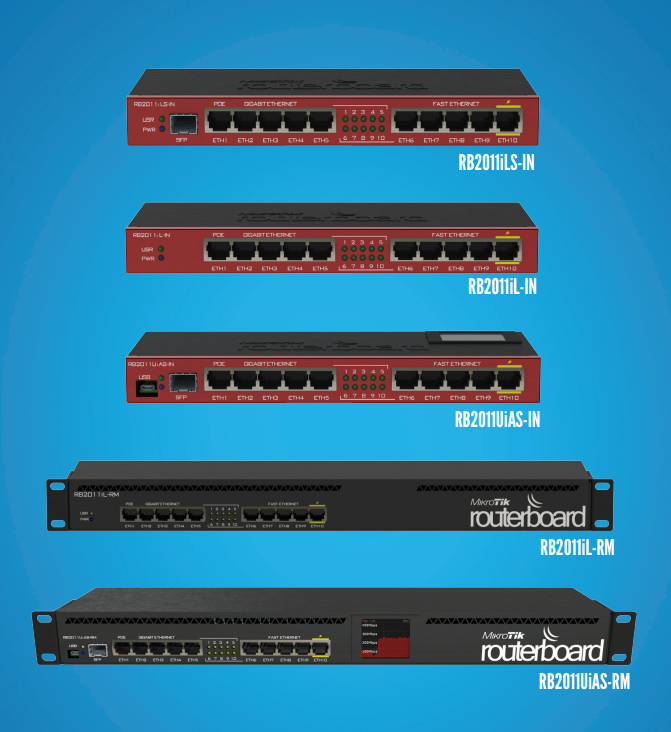 MikroTik RB Switch Series – NuVision Tech Solutions, LLC. 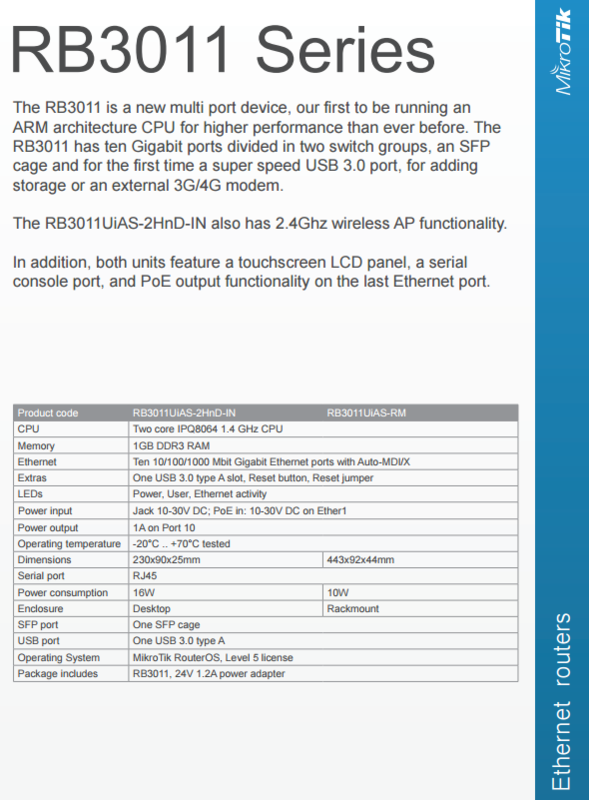 The RB3011 is a new multi port device, our first to be running an ARM architecture CPU for higher performance than ever before. 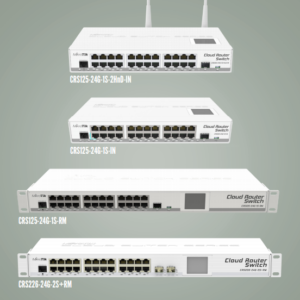 The RB3011 has ten Gigabit ports divided in two switch groups, an SFP cage and for the first time a super speed USB 3.0 port, for adding storage or an external 3G/4G modem. 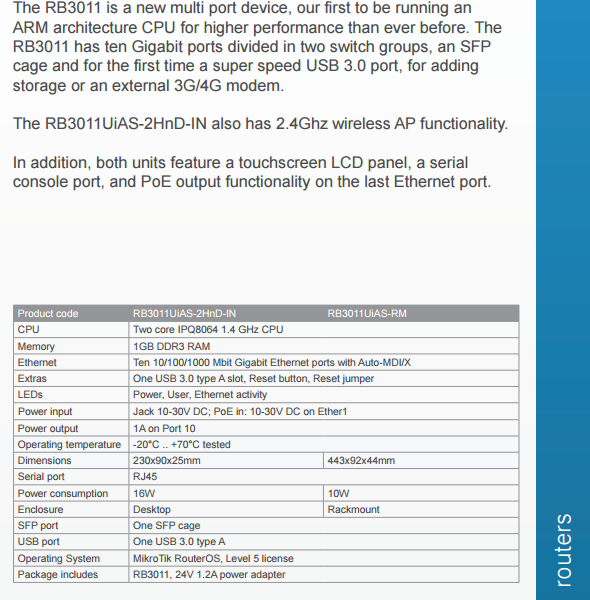 The RB3011UiAS-2HnD-IN also has 2.4Ghz wireless AP functionality. 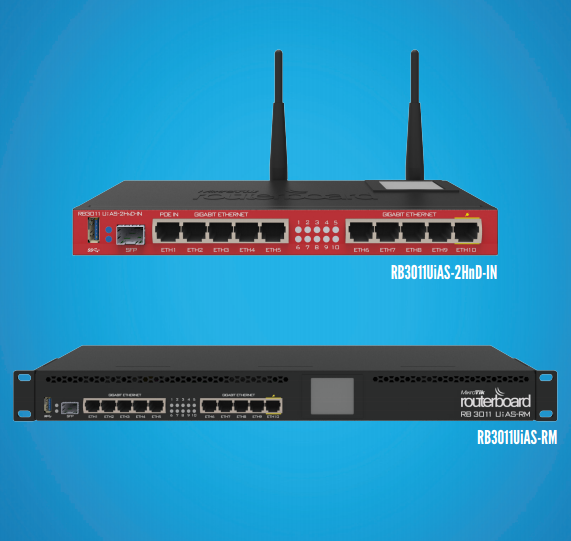 In addition, both units feature a touchscreen LCD panel, a serial console port, and PoE output functionality on the last Ethernet port. 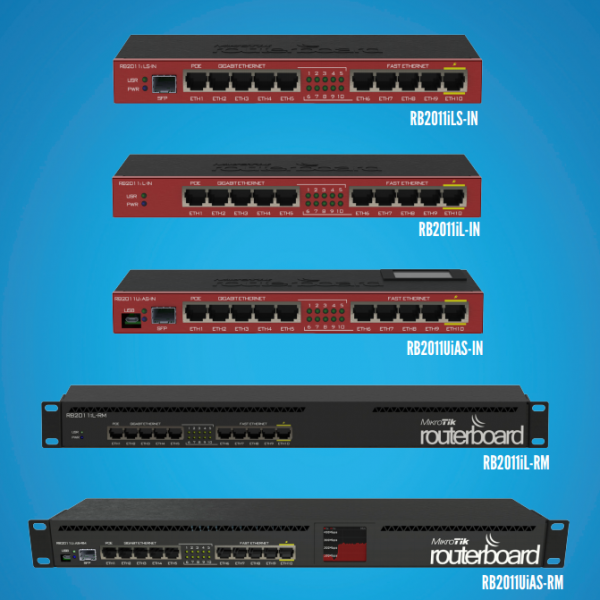 RB2011 are multifunctional routers with 5 Gigabit Ethernet ports and 5 Fast Ethernet ports, and multiple models available. 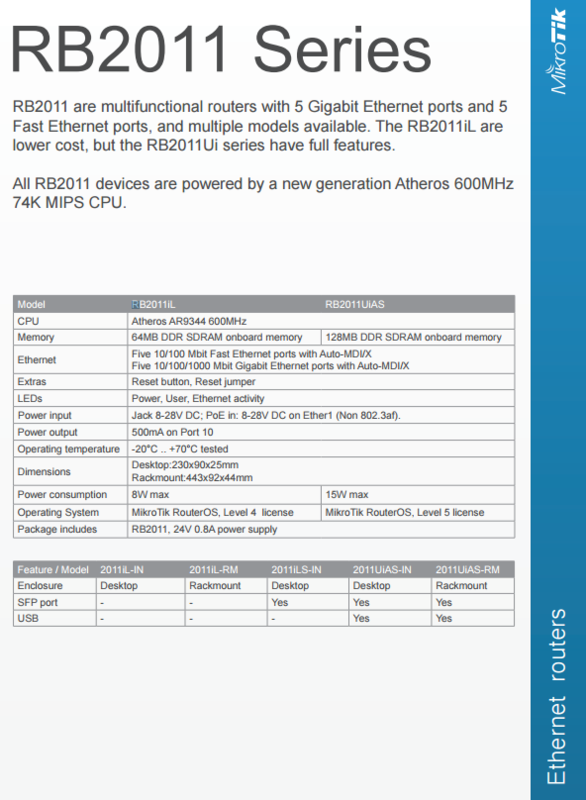 The RB2011iL are lower cost, but the RB2011Ui series have full features. 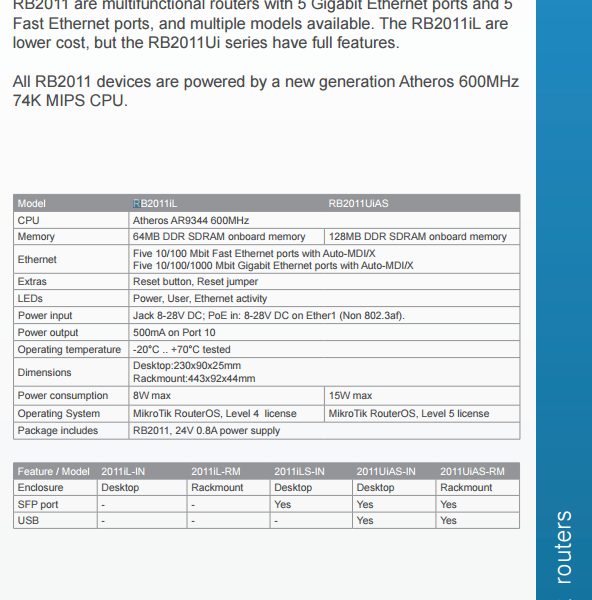 All RB2011 devices are powered by a new generation Atheros 600MHz 74K MIPS CPU.